It seems like Middle Eastern restaurants are opening up at a good pace these days. Lebanese Restaurant came and went and came again as Beirut (located close to Peage), Pascha sprung up inside the Aberdeen Hotel and remains one of my favourite places for shisha and a good meal in a beautiful setting, and then Arabika opened up near to Cercle Sportif with some seriously delicious babaganoush and tabbouleh and a fun atmosphere. 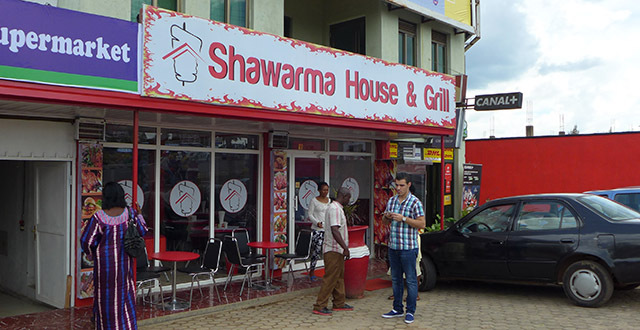 Now we have Shawarma House & Grill joining the fun with their small restaurant located near RDB. Shawarma House does something a bit differently from the rest of the places by offering a more casual atmosphere that’s set up for a quick meal or takeaway. Unfortunately the ‘quick meal’ isn’t all that quick, but I suppose it’s pretty fast by Kigali standards and you can expect your meal to be served within around 30 minutes. But when you walk into a place that looks like a takeaway restaurant, you kind of expect to be able to order on the go and this isn’t the case. It means things are super fresh, but it’s a bit misleading if you’re hoping to grab something and head out quickly. The food really is worth the wait, though. I think I’d give the edge to Arabika for their dips, but the tabbouleh at Shawarma House is on par. I also like that they always seem to have everything that’s on the menu, unlike Arabika who promise labneh on their menu but I haven’t been able to get it again since the first time I ordered it when they opened years ago. 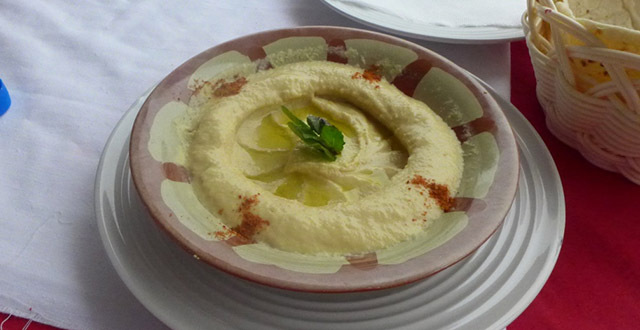 Oh Aribika, why must you toy with my labneh-related emotions? Shawarma House did, however, tease me with lemon mint juice on their menu that doesn’t exist due to a broken juicer, apparently. So sad. 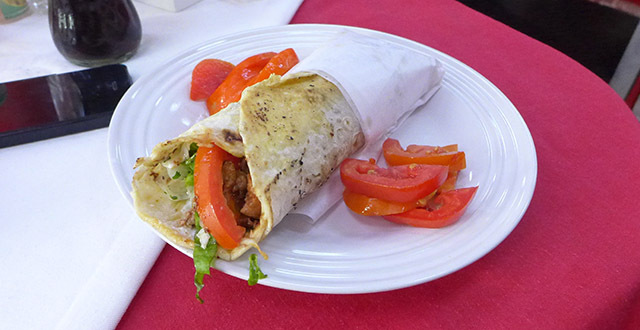 At Rwf 3,000, thier shawarma sandwiches are good value. Even though they’re not super huge they’re still a good deal and they’re very tasty. Top tip – don’t remove the paper wrapper or you’ll have a really hard time eating as the insides fall out the bottom (and onto pants). Lesson learned. The hard way. I asked for some extra tomatoes on my shawarma and ended up with a glorious little pile of tomatoes around the sandwich. Not exactly what I asked for… but in a way, better! I had the power of my own tomato distribution… and who doesn’t want such powers? The falafel sandwich (Rwf 2,500) also gets good reviews though when I ordered the falafel plate I thought they were a bit overcooked and they were a bit skimpy with the tahini sauce. Their selection of sandwiches and ‘plates’ is pretty vast with a Philly steak plate, a fajita plate, and a ‘Francisco’ plate on the menu all offering up mixes of meat and veggies. They also do various soups (Rwf 2,500 to 4,000) and a few different burgers (Rwf 4,000). 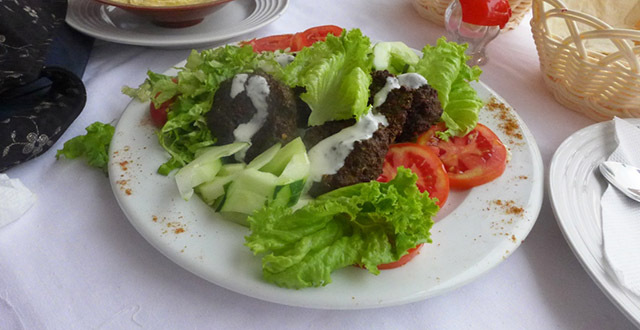 If you’re looking for a bigger meal, try one of their shawarma or grilled chicken plates (Rwf 6,500 to 7,500) that come with salad, shaved meat, and chips. I’ve never ordered one of these but I’ve seen a few cruise by me on their way towards other customers and they look like a pretty delicious and mountainous pile of food. They also do pizza which seems like a strange addition to a place like this but hey, it’s pizza. It’s everywhere in Kigali. 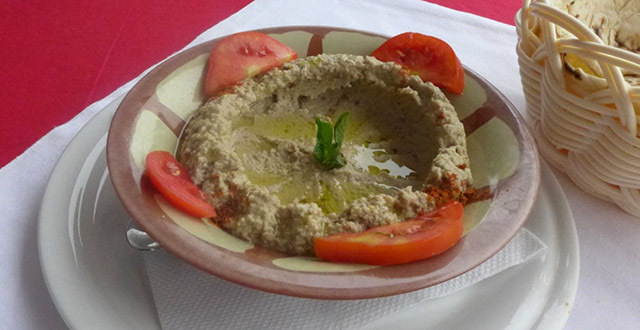 The dips are also pretty big and served up with a skimpy but refillable portion of pita-like bread. While I like the dips at Arabika a bit better (Arabika’s babaganoush is pretty hard to beat) Shawarma House still offers up a tasty selection of dips and salads. I love tabbouleh and I was impressed with theirs. At Rwf 3,500 the tabbouleh is a good size, but all of the dips and salads are around that same price and it makes it tough to decide what to get if you’re on your own. I’d love it if they had some sort of a meze platter to get a little taste of a variety of dippy type things, but I didn’t see that option on the menu. The atmosphere is an interesting one. It’s got a pretty unique look and feel for a Kigali restaurant with the food display and the kitchen located right behind the counter. It has a fast food, London kebab shop feel to it. It’s not the coziest place and it can get really hot inside with a lot of tables crammed into a small space, but it kind of works. Though I prefer one of the two tables outside, especially since they often have the music or TV blaring. The service here is a bit hit and miss. There’s one dude who seems on the ball, rushing around all of the tables while the cashier and a waitress sort of chilled in the corner. I had a nice experience with the guy as my server but had a misunderstanding with the waitress on another occasion. We needed a pita resupply and asked multiple times, waiting 20 minutes before I finally went up to the counter and asked them to just give me some pita into the basket I was holding because I wasn’t sure I’d ever see it if I sat back down. As it turns out, they misunderstood and thought I wanted another order of tabbouleh. So I guess just make sure to be clear with your order and, if your pita takes longer than a couple of minutes to come, perhaps communication may have gone a bit haywire. But I guess that’s my fault for not speaking Kinyarwanda and speaking French like a small child. Overall I really like this place. Added and awesome bonus? They’re open 24 hours! 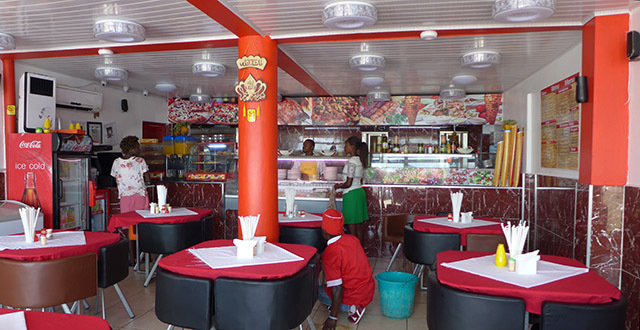 Kigali finally has a place for drunk food! Possibly the only place in town to get a late late late night meal? Shawarma House is a good place for a quick meal. The food is good, especially the sandwiches, and it’s a welcome addition to the little family of Middle Eastern restaurants that seems to be forming. Have you been? Let me know what you think in the comments below… and leave ratings!